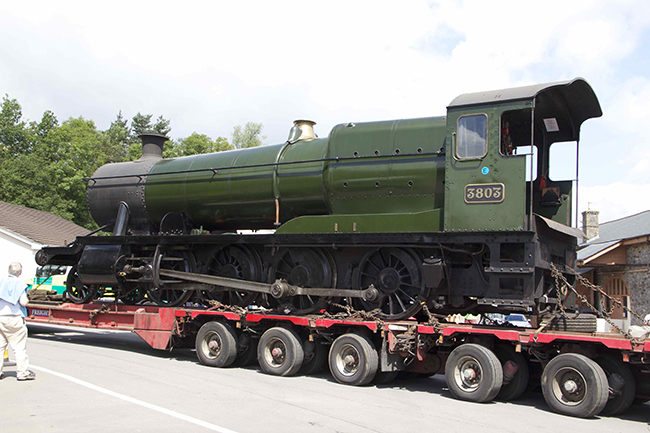 3803 arrived back from Shackerstone earlier in the year for its annual boiler exam and mid-term piston and valve examination. 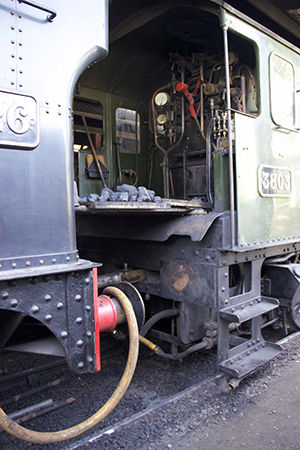 It was found necessary to replace two valve rings, and re-ring the pistons, which will see it to the end of its ticket. Its tender did not return to the SDR, and so the locomotive has been coupled to 5526 however, due to the lack of normal draw gear on the back of 3803, an HST 125 rescue bar has had to be employed so 5526 can act as a tender in order to undergo its steam test, which is due on Friday 19 July. 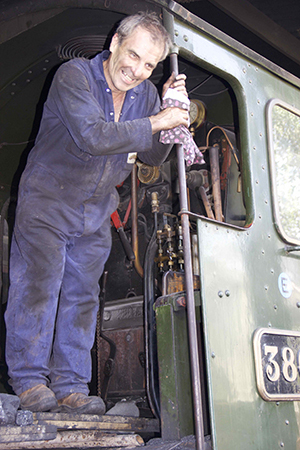 The attached photos show shedmaster Ray Lee on the footplate today (Thursday), and the arrangements that have been made to connect the two locomotives. The arrangements for a coal supply are unusual! 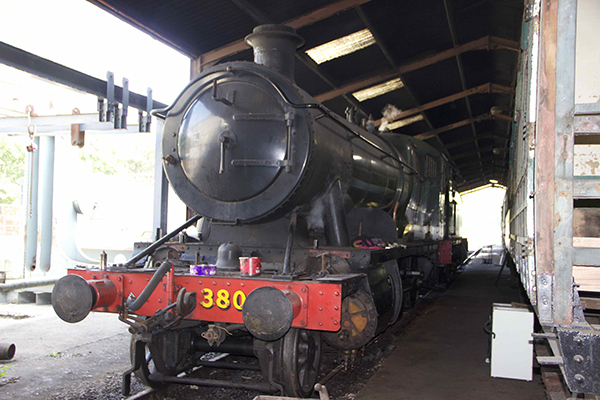 As mentioned above 3803 was being prepared for a steam test on Friday. 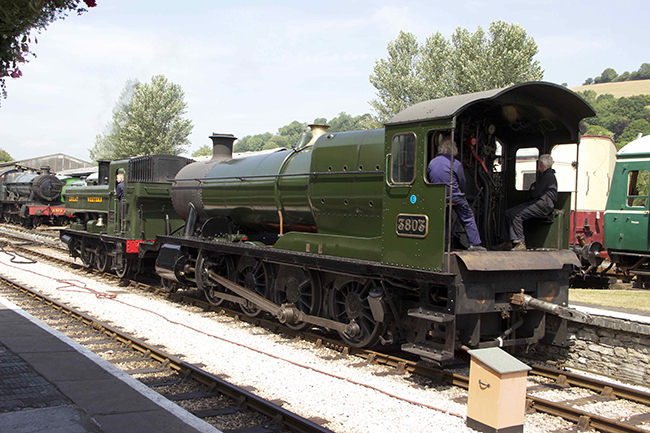 This it passed with flying colours and, as a result, 3803 is now scheduled to return on hire to the Battlefield line at Shackerstone on Monday. 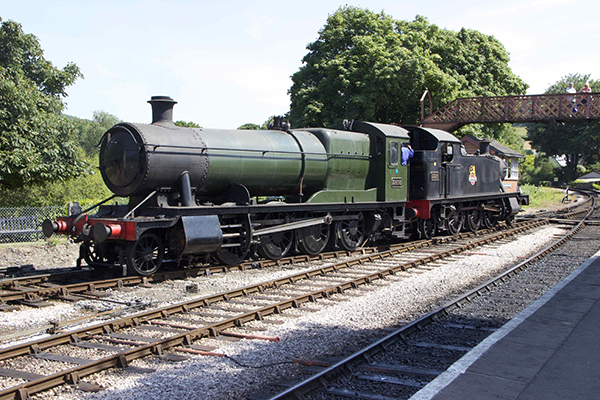 After its successful test it was briefly allowed out in the loop, still with its “tender” (5526) in tow. 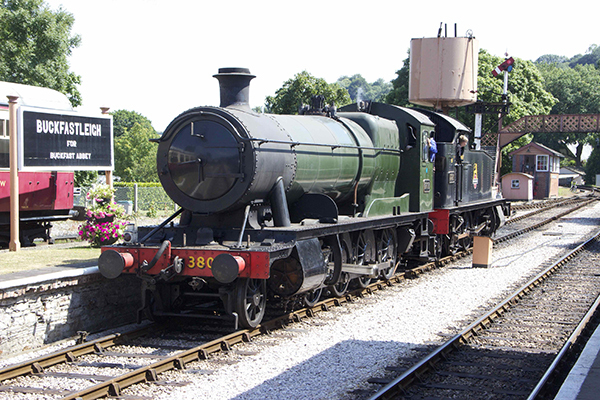 5526 is expected to go into the workshops for overhaul after Bellerophon is finished later this year.. Photos above show 3803 and 5526 on tour on Friday afternoon. 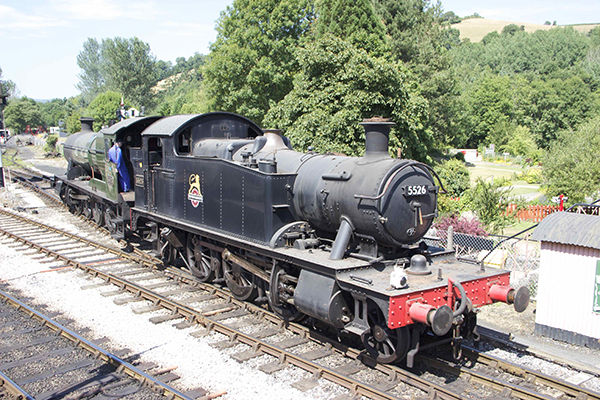 On Monday 21st July 1369 was used to shunt 3803 ( complete with 5526 “tender” ) through the loop in readiness for transfer to road transport on Tuesday 22nd July. Note, in the middle picture above, the Intercity 125 HST recovery bar under 3803’s fall plate. 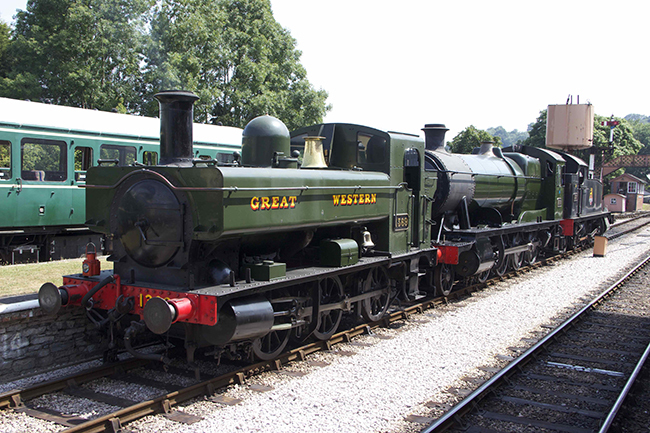 3803 will be performing again on the Battlefield Line, Shackerstone soon.